Two miles, 21 runners and soft, possibly heavy, sway the Ladbroke firmly in favour of the bookmakers, but that’s not really a problem for us, because we’re always looking to slip one ‘under the radar’ in any case. Gordon Elliot has won two of the last three renewals of the Ladbroke, so it’s a little surprising that his representative this year, Vercingetorix, is running ‘loose’ at 33/1. Closer inspection reveals that the 4-year-old has been well beaten on both attempts in handicaps, including at Fairyhouse three weeks ago, off lower handicap marks, so his chance is less than obvious. Conditional jockey Jack Kennedy takes off 5lb but, even so, it’s hard to make a case for the Dylan Thomas gelding on the form book. Nevertheless, he’s worth including by virtue of his connections alone. Bidourey (33/1) won his first five starts, including two over hurdles, but was pulled-up when favourite for the William Hill Imperial Cup at Sandown in March and made no show behind Old Guard on his reappearance at Cheltenham last month. The son of Voix Du Nord is in danger of becoming a forgotten horse but, with plenty of winning form under testing conditions, he remains one to keep on the right side. 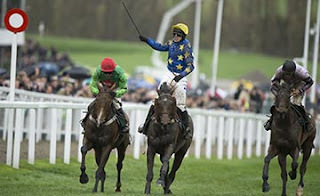 Devilment (20/1) has run creditably in defeat on both starts since winning at Cheltenham in October, but probably needs to be Champion Hurdle class to win the Ladbroke off a handicap mark of 150. Aidan Coleman switches allegiance to his promising, but inexperienced, stable companion Galizi (25/1) and the hint may be worth taking, albeit that the Dansili gelding has yet to race on properly soft going. The Caspian Caviar Gold Cup (1.50) is run over nearly the same distance (2 miles 4 furlongs and 166 yards) as the Paddy Power Gold Cup four weeks ago, so it’s no surprise that five of the first six home in the Paddy Power Gold Cup reoppose at Cheltenham on Saturday. It’s no surprise, either, that the quintet dominate the betting but, with ten other runners in opposition and the bookmakers betting 8/1 the field, a turn-up isn’t entirely out of the question. The last time Turn Over De Sivola (25/1) ran in handicap on properly soft going, he finished fifth of 20, beaten 7¼ lengths, behind Next Sensation in the Grand Annual Chase at the Cheltenham Festival in March, off a 2lb higher mark. The Assessor gelding has yet to win beyond an extended 2 miles, but his limited attempts over further haven’t proved altogether conclusive, so he may not fail entirely through lack of stamina. He made a satisfactory reappearance when fifth of 12, beaten 13 lengths, behind Boondooma over 2 miles on the Old Course at Cheltenham in October and, if can build on that, could go well at a generous price. It’s fair to say that he’s not progressed as far as once seemed likely to be the case, but the step up in distance could be what he needs at this stage of his career and, if so, he looks well treated on his best form. Jockey Brendan Powell needs to make 10st 1lb, or just 1lb more than his minimum riding weight over the last twelve months, so it’ll be interesting to see how the partnership fares. 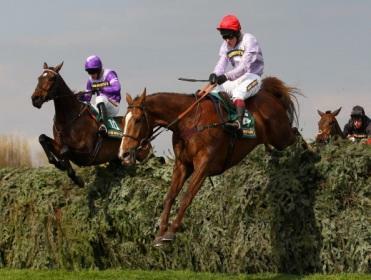 The Becher Chase is run over 3 miles 2 furlongs on the Grand National Course at Aintree including, of course, Becher’s Brook, from which the race takes it name. 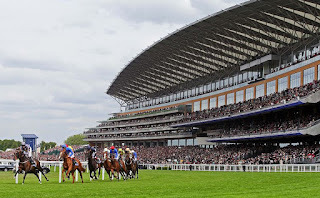 The race hasn’t thrown up as many long-priced winners as you might expect, but winners at 33/1, 25/1 (twice) and 14/1 (twice) in the last ten years provide plenty of cause for optimism as far as this column in concerned. Dare To Endeavour (50/1) hasn’t shown much in three starts for Eric McNamara since being transferred from Tom George in August, but it’s interesting that the Co. Limerick trainer is sending the Alflora gelding back across the Irish Sea for this valuable contest. The 8-year-old hasn’t won since early last year, but is only 1lb higher than his last winning mark and has winning form at up to 3 miles on soft and heavy going, so wouldn’t be without a chance if able to recapture his best form over these unique fences. The booking of Grand National winning jockey Liam Treadwell, who’s riding close to his minimum weight over the last twelve months, at 10st 2lb, adds to his appeal. No Planning (16/1) ran creditably in defeat when third of ten, beaten 13 lengths, behind Vieux Lion Rouge over 3 miles at Haydock two weeks ago and makes no little appeal from a handicapping perspective. Sue Smith’s 8-year-old has been dropped 2lb in the weights and now races off the same handicap mark as when last successful over fences, at Haydock early last season, so could go well if taking to the National fences. Again, the Kayf Tara gelding has plenty of winning form on soft and heavy going up to 3 miles 1 furlong, so could be a shade overpriced. Portrait King (20/1) was still with the leaders, albeit being pushed along, when falling at the third last in the Grand National last April, and his experience of the fences should stand him in good stead this time around. Now a 10-year-old, he was pulled up over 3 miles at Bangor-on-Dee last month on his debut for new trainer Patrick Griffiths, but is consequently 8lb lower in the weights than on his last visit to Aintree. He’s equally effective at this shorter distance, so his chance may not be as forlorn as his odds suggest.